If you have cardboard boxes lying around the house -- hello Amazon deliveries! -- you could be looking at your next great Halloween costume. Add Halloween as an interest to stay up to date on the latest Halloween news, video, and analysis from ABC News. Leftover boxes that contained diapers and wipes are what Danielle Bevens, a mom of two in Alberta, Canada, has used to create nearly two dozen elaborate Halloween costumes for her sons. "I always wonder what moms are doing with all the boxes because I have a plethora of cardboard," she said. "Every costume is pretty much made out of paper, cardboard, paint and hot glue and whatever thrift-able clothes I need." 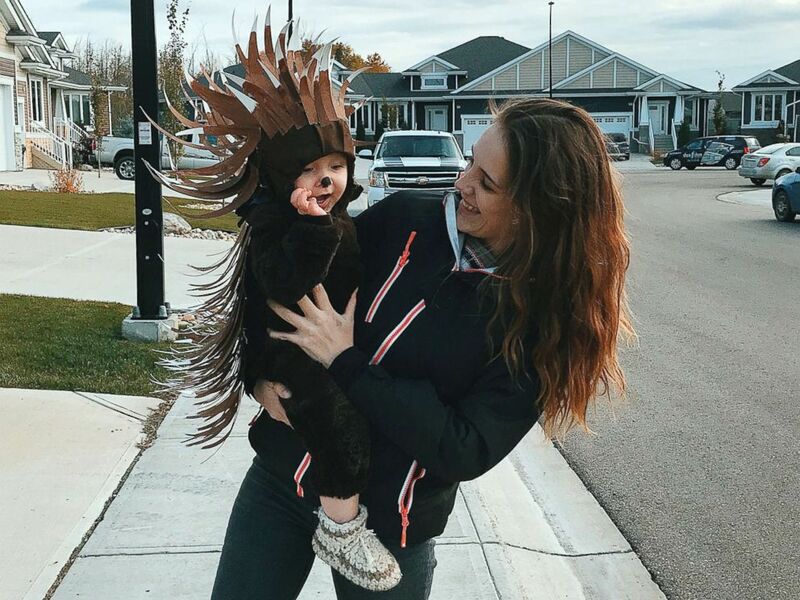 Danielle Bevens holds her son, dressed in a porcupine costume. Bevens not only uses items she already has, each costume costs her about $5 to make. Bevens, 23, is a stay-at-home mom to Noah, 3, and Toby, 18 months. 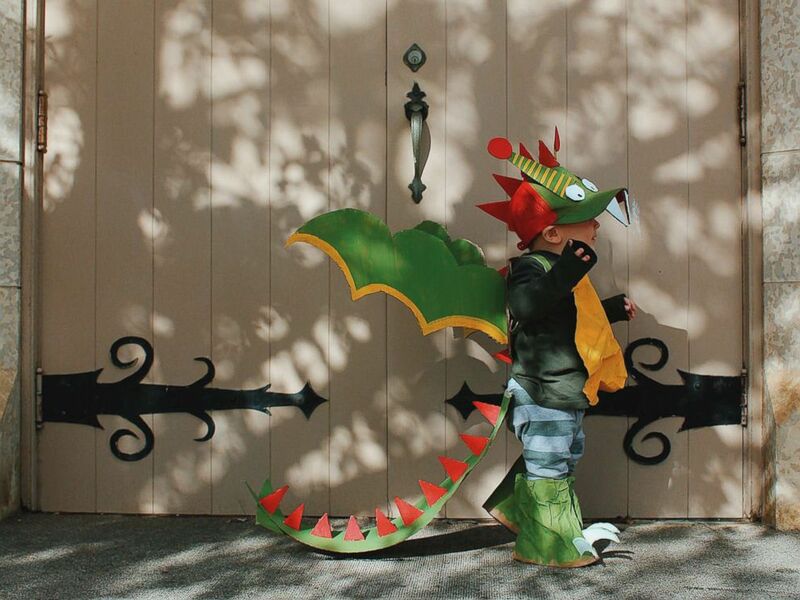 She started making Halloween costumes for her sons last year as a creative outlet. Danielle Bevens' son wears a dragon costume. She makes a new costume every few days in the month of October and posts photos of the costumes on Instagram. So far this year, Noah and Toby have been transformed into a porcupine, a Rubik's cube and a "National Lampoon" character, among others. Near the end of October, Bevens gives away the costumes so other kids can use them. "I love to make things, and Halloween is the best time," she said. "There aren't many other reasons during the year to just be creative and glue cardboard together." "And every mom wants to see their kids in cute costumes," she added, "so who wouldn’t want a whole month of it?" 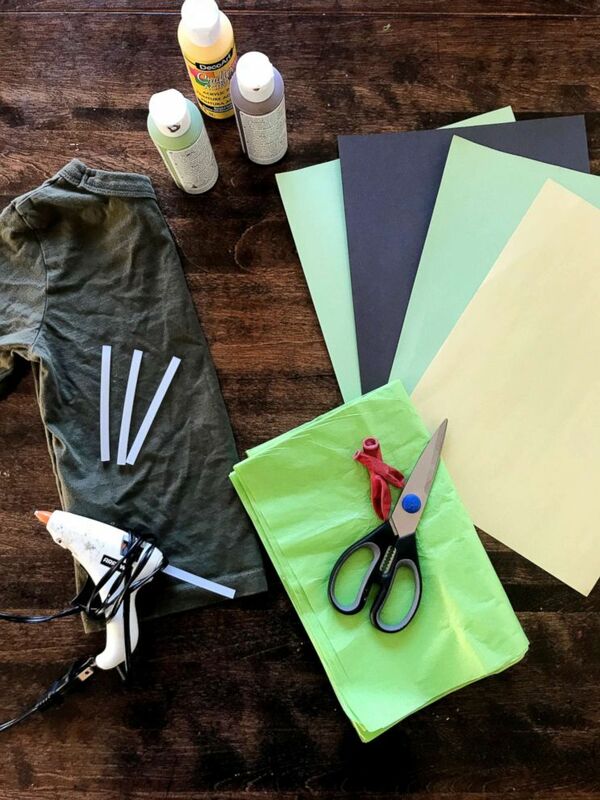 Ready to try your own hand at a homemade Halloween costume? 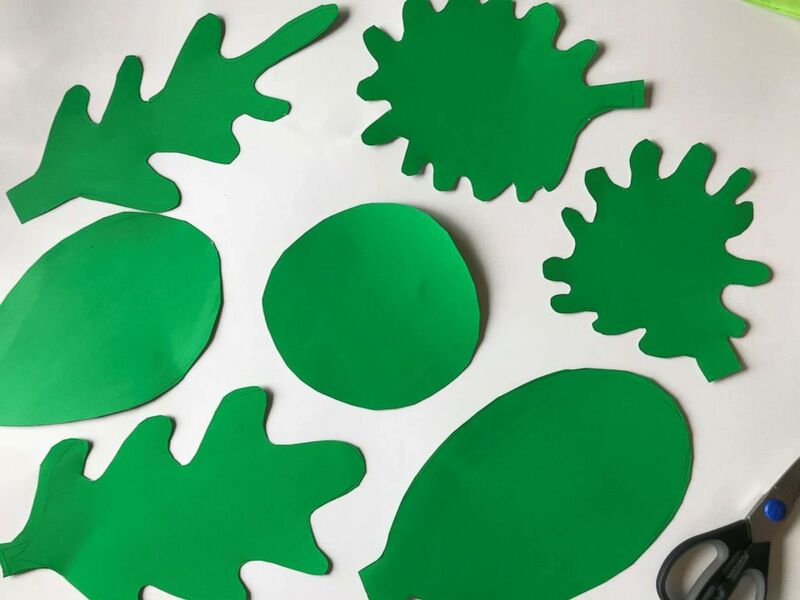 Bevens has shared step-by-step instructions to create a child's salad costume using just five materials. 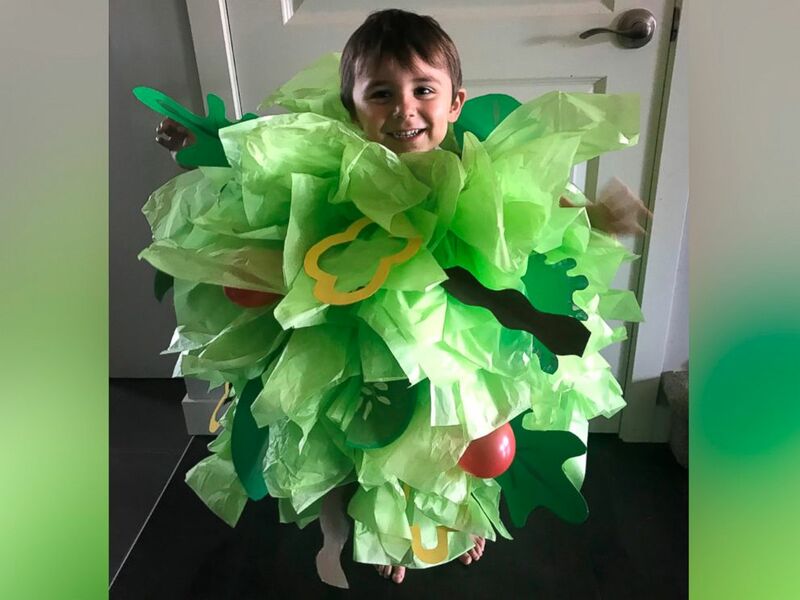 Danielle Bevens' son wears a salad Halloween costume. "So far one of my son's all-time favorites has been the salad costume," she said. "For being such a large costume it was actually one of the easiest to make. The steps were simple and the supplies were minimal." Materials are shown for Danielle Bevens' salad costume. 1. Pinch the tissue paper in the center and add glue. 2. Stick the tissue paper onto the t-shirt. Repeat until shirt looks full. 3. 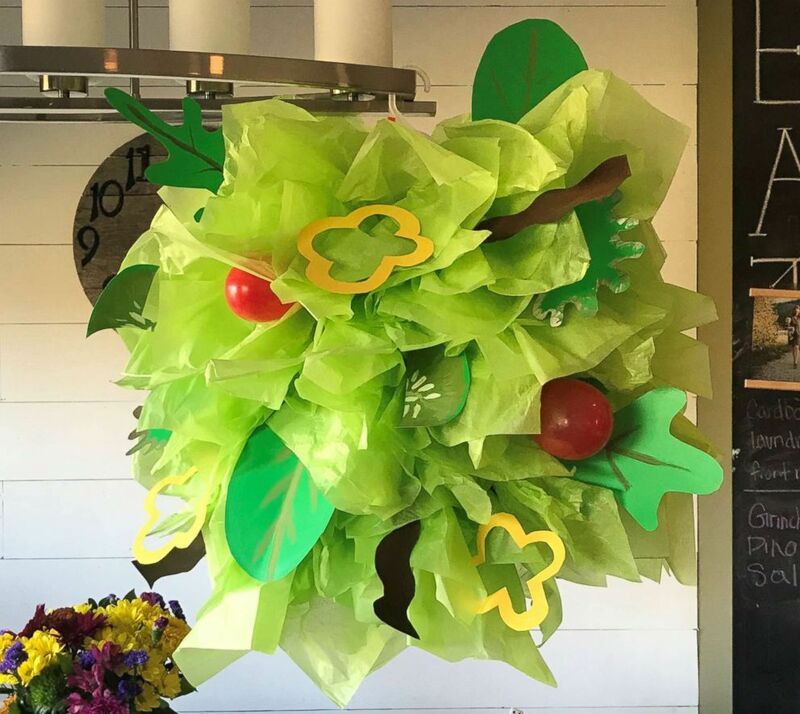 Cut lettuce and leaf shapes out of the green construction paper. Cutouts are shown for Danielle Bevens' salad costume. 4. Hot glue the shapes around the shirt/tissue paper. 5. Glue two small red balloons on to look like tomatoes. 6. Cut two salad forks out of cardboard for the child to hold, or use real forks/salad mixers instead. A salad Halloween costume made by Danielle Bevens is pictured here.